Forty-three students kidnapped by police acting in cahoots with a criminal gang on September 26 are still missing, and the incident is causing serious reverberations throughout the Mexican body politic. 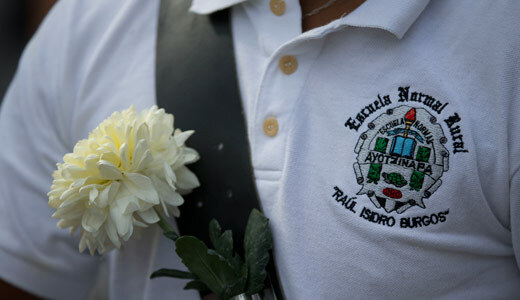 The students, from the Raul Isidro Burgos Rural Normal School at Ayotzinapa, state of Guerrero, a training institution for rural teachers, were taken prisoner in the small city of Iguala after police stopped them at gunpoint. They had been in Iguala to raise funds for their school, and commandeered three buses to take them back to Ayotzinapa at the end of the day. Three students and three passers-by were killed in the shooting at the buses (the students were unarmed), and some students escaped. One student was found dead. Forty-three remain missing. At first, it was thought that their bodies, dismembered and burned, were among those found in some mass graves outside Iguala, where local farm families say gangsters often bury their victims. However, at writing, the Mexican attorney general says that the bodies examined so far are not those of the students. However, everybody in Mexico knows that this poor state on the Pacific Coast has been the site of massive violence for many years, and that finding mass graves here and there is not uncommon either in Guerrero or elsewhere in Mexico. There is a strong probability the 43 are dead; however, in other cases, kidnapped people have been held for ransom (paid by their families), enslaved by drug gangs or held secretly by police or military. So the families are saying “they took them away alive, we want them back alive”. The incident has led to large-scale protests all over Mexico and beyond. In Chilpancingo, the Guerrero state capital, protesters set fire to the government’s main building. In San Cristobal de las Casas, Chiapas, silent, disciplined rows of some 15 to 20,000 fighters from the Zapatista Army of National Liberation marched through the town. In the Mexican Congress and among the public, government statements about the incident are being met with scorn. The municipal president (mayor) of Iguala, his wife and the police chief have fled, some think tipped off that they were about to be arrested. In the political establishment, the incident is being blamed on the “rural normal school” teacher training system itself, which was set up in the 1930s by the leftist president, Lazaro Cardenas del Rio. The schools recruit poor rural students who would not otherwise be able to attend universities, and train them to teach in impoverished rural villages, where the people often do not speak Spanish but rather indigenous languages. These “escuelas normales rurales” have thus become centers of innovation in pedagogy and particularly in bilingual methods. But they are also centers of organizing for social justice, which makes them a threat to the powerful. It is not known whether, in fact, the attack on the Ayotzinapa students, carried out police allied with a drug cartel, Guerreros Unidos (United Warriors) was in reality a terrorist action against people seen as future mass leaders of Mexico’s rural poor. One of the heads of the gang, the authorities say, has committed suicide when surrounded, so his lips are sealed. Also, some of the attack on the students happened within earshot of an army base, whose commanders did not see fit to intervene or investigate. There are political implications for the Mexican left. Both mayor Jose Luis Abarca and governor Angel Aguirre Rivero belong to the leftish Revolutionary Democratic Party (PRD), whose leadership has to have signed off on their candidacies. Their affiliation is with the “New Left” (“Nueva Izquierda) current in the PRD considered to be most conservative and closest to President Enrique Peña Nieto’s PRI, or Revolutionary Institutional Party. The PRD was founded in 1989 by dissident elements of the PRI along with some from the Mexican Communist Party and others, in the wake of the 1988 presidential elections that were stolen from President Cardenas’s son, Cuauhtémoc Carenas Solorzano. But in recent years there has been a falling away of support from the PRD, especially after the leaders of the PRD, the PRI and the right wing National Action Party, or PAN, signed the “Pact for Mexico” in December 2012, widely seen as being an agreement to cooperate in the imposition of neo-liberal policies, including the “educational reform” the Ayotzinapa students have been protesting. 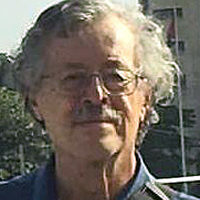 Even though the PRD subsequently resigned from the “Pact”, the original signing is seen as a major betrayal, and has accelerated the movement of many PRD people to the new National Renovation Movement, MORENA, headed by Andres Manuel Lopez Obrador, the PRD presidential candidate in 2006 and 2012. This is why, when, on October 8, Cuauhtémoc Cardenas, now 80, tried to participate in one of the demonstrations in Mexico City, he was booed and roughed up.